This gladius is based on gladii from the Mainz type, which was used by the Roman army until the 3rd-4th century. This type had a broader blade and grip than the popular Pompeii type gladius. 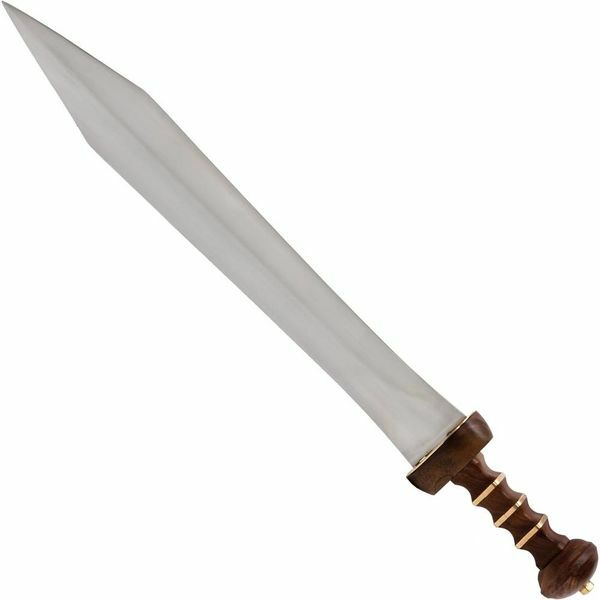 This gladius has a wooden grip, decorated with brass rings. 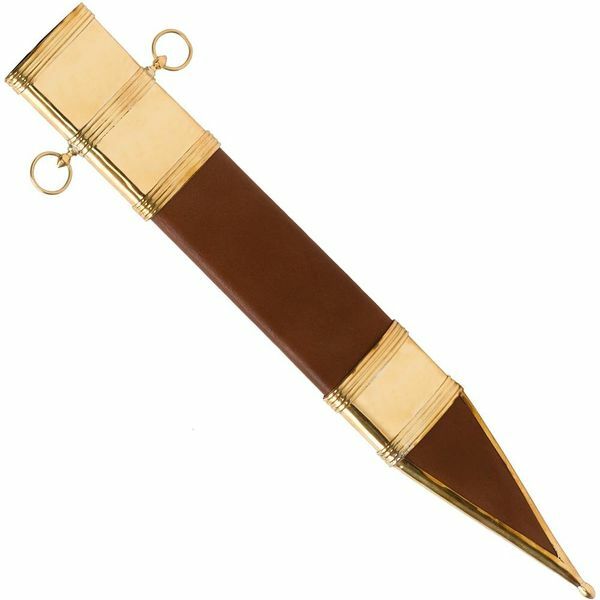 It is deliverd including wooden scabbard, which is covered with leather and decorated with brass. The scabbard has two rings with which it can be attached to the belt.